We love to entertain in our wonderful atmospheric 13th-century farmhouse. Our restaurant serves home-cooked, seasonal food which is based on the area’s loal traditions. Our pastas are handmade and we have a fantastic wood-burning grill for grilling meats of all kinds. The restaurant serves all of Selva Capuzza’s wines by the glass or bottle at favourable prices. We can also organize vertical tastings with advance notice. You can choose from our à la carte menu or our fixed price, 4-course meal with wine included. The Cascina Capuzza has been the first agritourism in Lombardy in 1983. 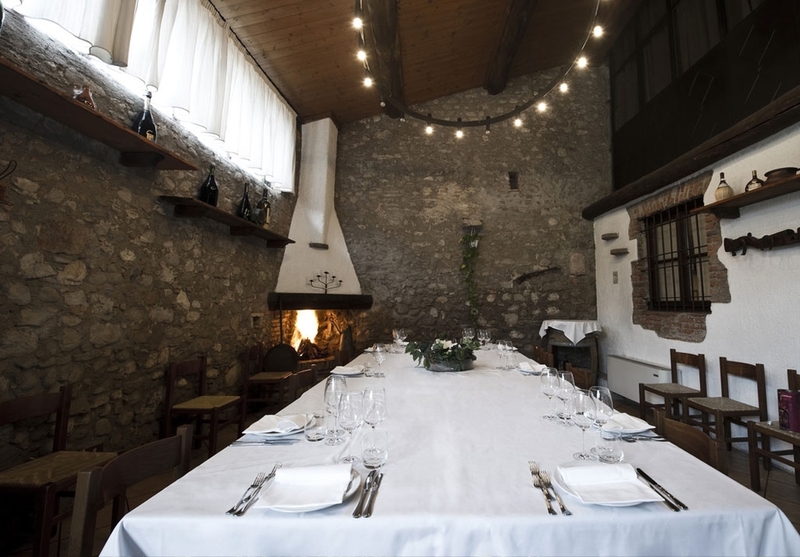 Vincenzo and Adriana Formentini's will, was to renovate the Cascina to offer their friends and other enthusiasts of wine and good food a simple place, but at the same time careful. Where it is possible to be informed about the family's wine, and match them with local dishes. For this reasons we can say that we are a restaurant “on the contrary” because we match meals with wine and not vice-versa, like the rule requests. The Cascina's dishes are based on quality of raw material. Being able to select the quality andthe right periodicity are the most important features of our chef. We get back local recipes characterized by a high simplicity, which comes from the poverty of these areas. From local raw material, we invent some new recipes and then we mix them with some ideas collected from the past. Each season has its own tasting menu, which allows you to taste different dishes thanks to several courses combined with wine. During the year, we propose some themed events or particular menu. The Cascina Capuzza has been one of the founder of the “Strada Dei Vini e Dei Sapori del Garda” and it follows the protocol of gastronomic offer related to it, assuring the quality level and the main use of local products.